From December 28 in a set of European countries, as well as in Georgia, USA and Egypt by choosing one or more of the abovementioned bundles and joining the corresponding partner networks, within a period of 30 days Ucom subscribers will be able to consume 100 MB, 300 MB and 1 GB bundles of mobile internet at the price of 3900, 8900 and 24900 AMD respectively. In order to benefit from this offer one should join the following operators in the mentioned countries: Orange in France, Orange in Spain, TurkCell in Turkey, EE in UK, lifecell in Ukraine, Swisscom in Switzerland, Orange in Belgium, Telenor in Bulgaria, Tele 2 in Croatia, Telefonica O2 in Czech Republic, AT&T in the USA, Cosmote in Greece, KPN in the Netherlands, Orange in Poland, Orange in Romania, Orange in Egypt, Telenor in Hungary, Telia in Denmark, TeliaSonera in Finland, Telia in Estonia, LMT in Latvia, Omnitel in Litva, Telenor in Sweden, Telenor in Norway, Mtel in Montenegro, Geocell and Magticom in Georgia, MTN in Cyprus, Orange in Luxembourg, Orange in Moldova, and Orange in Slovakia. 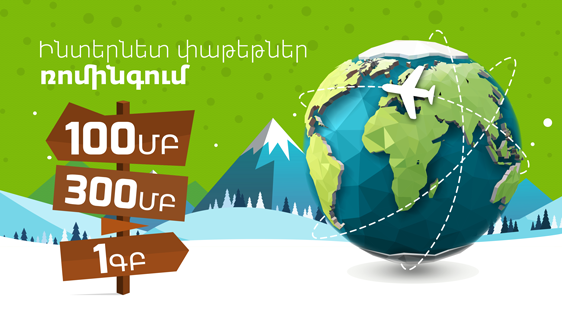 Let us remind that the roaming service should be activated before departure from Armenia by dialing *121# or *121*1#. Let us also note that the service is not applicable to Ucom Business subscribers.